Researchers repeatedly throw themselves to the floor to simulate how a human falls. It is part of an international effort to help senior citizens. 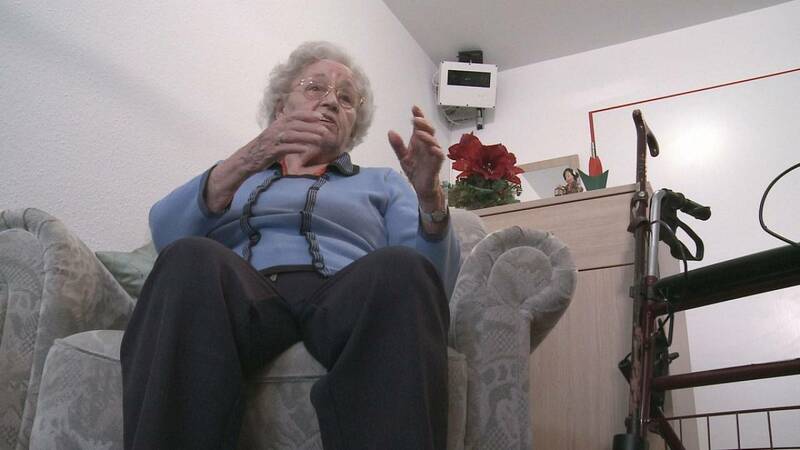 Linda Haake, 88, is a volunteer in a European Union research project to make living alone safer in old age. The device – a box with a stereo camera – has been designed to react if a person collapses in front of it. The smart monitoring system detects contours of moving objects, preserving the residents privacy. This surveillance device can be easily installed in an elderly person’s room and works completely autonomously. It doesn’t transmit any video outside, so the life in the apartment remains completely private. The system only kicks in if someone falls down. No additional sensors are required: the software recognises a falling person by looking for typical changes in the body’s position, shape and velocity. When the system detects a fall, it sends a text message alerting the family, friends or care providers. In a Bremen care home, three apartments have already been equipped with the new surveillance system, and other residents are also interested to take part in the trial. The testing will continue until the full reliability is ensured before the new technology goes on the market.